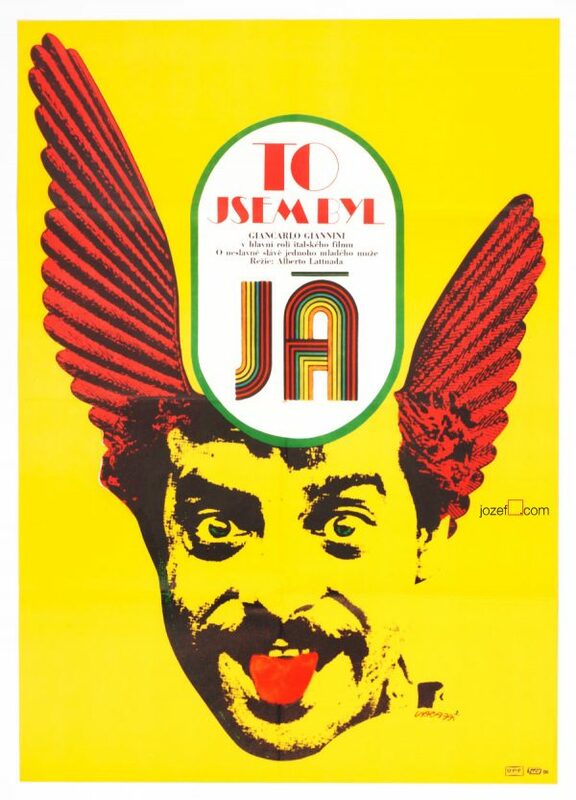 Movie poster for 80s musical comedy with hilarious illustration by by Czech award winning designer and fine artist Karel Vaca. 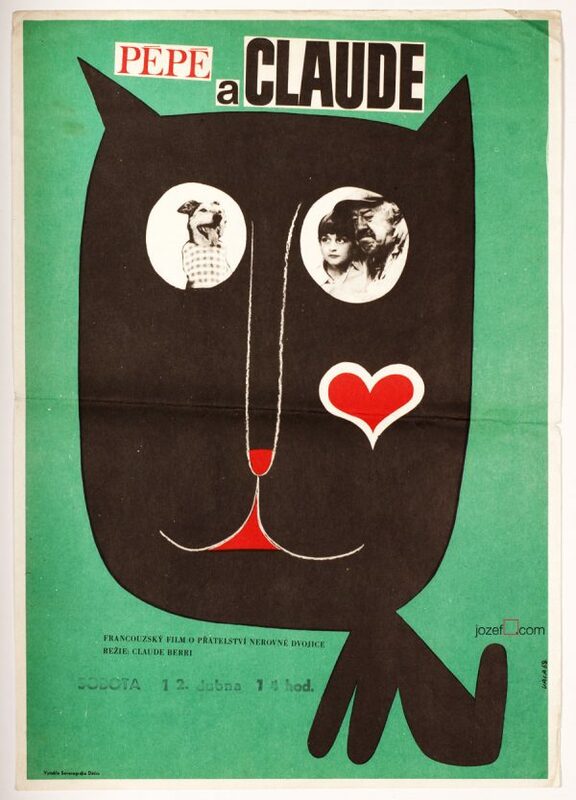 Romantic illustrated movie poster by Karel Vaca. Poster is folded.Two 1 cm cracks on right edge and few smaller ones on the left. Slight crease and soft stain on edges. Folds in some corners. Borders cut off with scissors from original size (40.7 x 28.4 cm) to (38.8 x 28.4 cm). Nice condition (NOT PHOTOGRAPHED, PLEASE ASK IF YOU WISH TO SEE A PHOTO). 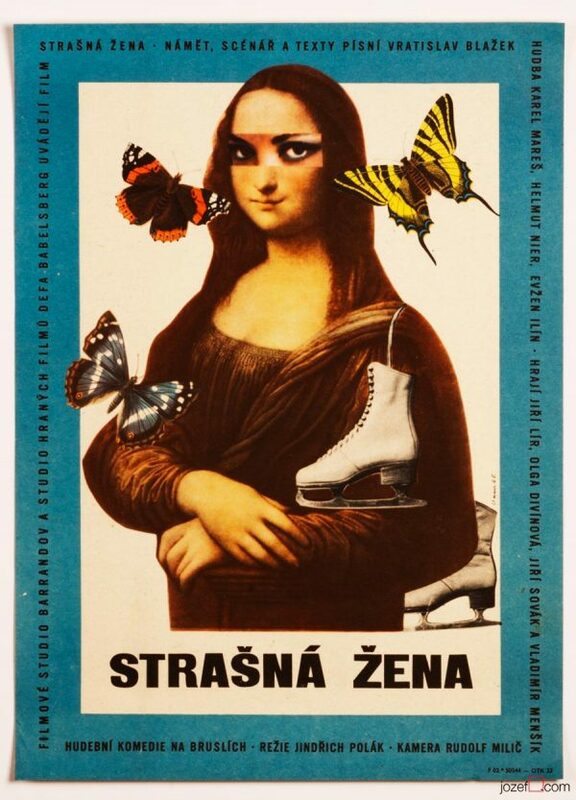 vintage posters designed for Czechoslovak cinema. 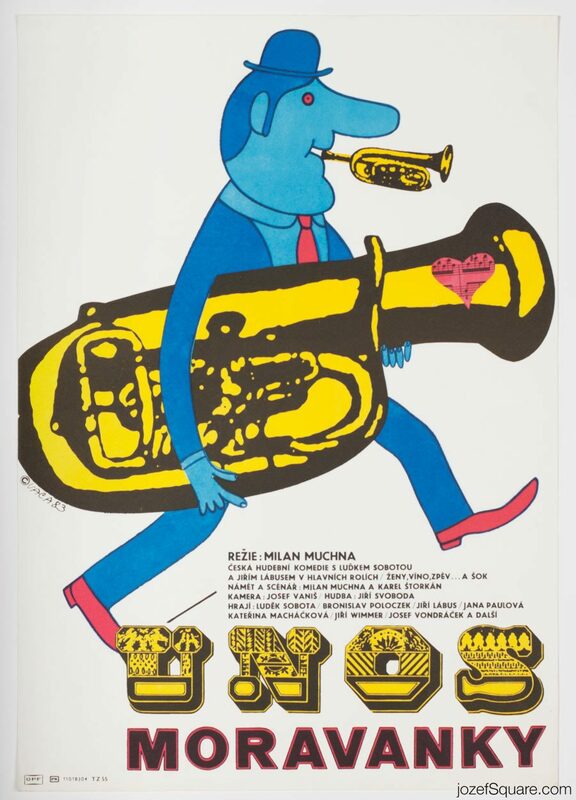 Be the first to review “Movie Poster – Kidnapping the Moravanka Brass Band, Karel Vaca, 1983” Click here to cancel reply.